By engaging with its customers internationally during product development, Alexander Dennis has delivered revolutionary, forward-thinking transport solutions while staying ahead of the competition. Alexander Dennis has unveiled its brand new 100-seat Enviro400XLB double-decker bus, developed in close collaboration with Lothian Buses and chassis manufacturer Volvo. Forty-two of these high-capacity buses will enter service in Edinburgh from January. They are manufactured in Falkirk, securing jobs and adding value to the Scottish economy directly and via the extensive local supply chain. We've been working with Alexander Dennis for a number of years. We invested £7.5 million towards the company's £30 million product and market development programme to help increase their innovation, R&D and global reach. This investment has helped to open up new international markets for the company as well as supporting opportunities closer to home and is a great example of how innovation and investment can grow our economy. As we see the roll out of these new buses around the region, we'll continue to support Alexander Dennis to look at new markets. Owning roughly 50% of the UK bus market, Scottish bus manufacturer Alexander Dennis is a global company that sells in North America, Canada, New Zealand and Hong Kong. With the introduction of the Enviro400 double-decker bus, the UK’s market leading model, the company have truly put themselves on the map. Enviro400 was introduced after a three-year development programme involving customer engagement sessions throughout the research and development process. It was a product created with the customer in mind - with the fitting tagline 'designed by the industry, for the industry'. The high-capacity, three-axle double decker is a real showcase of Alexander Dennis' strengths - designed in collaboration with KMB and other major operators in Hong Kong. They've sold 1500 in less than two years, establishing themselves as a market leader and opening significant new markets in Asia and the Pacific Rim. Creating products that satisfy customers in locations all around the world can present challenges. But by turning to our innovation support, they've brought a fleet of exciting new vehicles to the marketplace. 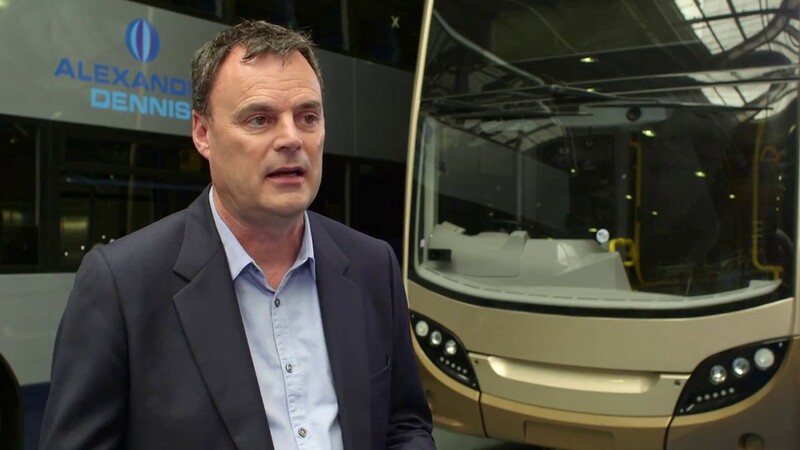 "Scottish Enterprise has helped us enormously," says Ken Scott, group engineering director at Alexander Dennis. "We've benefited from working closely on various innovations, including our new double-deck and single-deck products, which we've recently introduced to the UK. "The very first project has been for 51 full electric buses, which we'll be introducing into the centre of London. This will be the biggest fleet of electric buses on one route anywhere in Europe. "Definitely, the future of buses will be increasingly electric. This is the first project, and we'll expand from there into other routes in London, other cities in the UK and beyond into other markets." Product innovation helped streamline the company's offer - creating reduced weight, better fuel efficiency and increased seating capacity. And by undertaking these innovation practices, Alexander Dennis has positioned themselves as a business looking out for bigger, better opportunities. By working with major customers, both nationally and internationally, to design and engineer these products, they’ve grown from an annual turnover of £170 million to one in excess of £600 million. They now lead the world in midi bus and double-deck vehicle production, and strive to improve the product experience for operators, passengers and drivers. These processes are driven by a dedicated new product development team, who monitor what is happening across the industry and the broader, global engineering and manufacturing sectors. Ken encourages companies to understand the wider meaning of innovation. "Innovation can be the way that we do things internally, from coming up with ideas that reduce costs to new technology. "We're well on with a number programmes to make sure that our ideas are extremely competitive - particularly in markets where there are already products that we need to compete directly against. And we need to visualize these products. 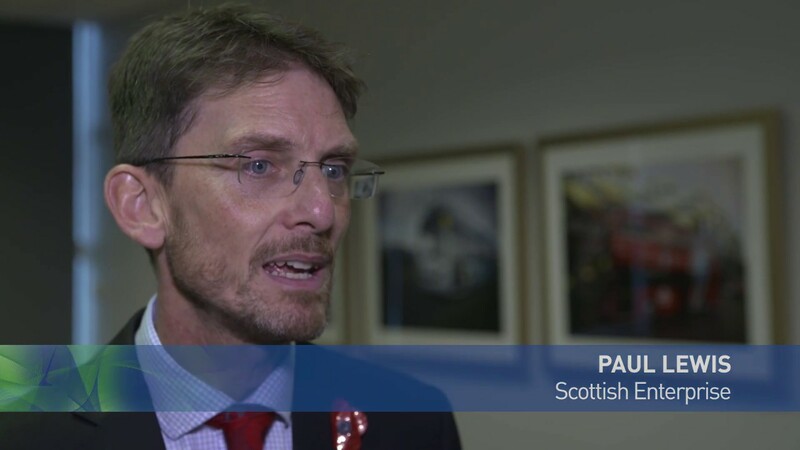 "Scottish Enterprise has been a great help for us, without doubt. They were able to listen to our plans, understand what we were hoping to achieve, recognise the benefits to Scotland and how this would have a knock-on effect on the local economy. "They've been very helpful in allowing us to apply for grants, which could then help to make sure that the product development process was as easy as possible for us as a business." Over the past decade, we’ve worked closely with Alexander Dennis. By recognising and sustaining this relationship, we’re able to help them support around 1,000 jobs in Scotland – upholding Scotland’s reputation for engineering excellence. Need help to refine concepts for new products or services? Explore our innovation support.